Replacement glass, water-jacketed chambers suitable for mouse, rat or guinea pig hearts. For use with supports such as the Magnetic Base for Clamp Micromanipulator to precisely position electrode holders over a cell chamber. Two replacement glass organ bath chambers of 25 ml for use only with the Single Chamber Organ Bath from Panlab. Used for wiring existing transducers for use with a Bridge Pod. Supplied in sets of 5. These response pads are smart devices and are ideally suited for SuperLab experiments involving spatial orientation. The Response Pad to PowerLab Cable (2m) connects to the Accessory Connector on the back of the any of the RB-x30 Series (discontinued) response pads directly to any PowerLab unit with a Digital Input. The Q Series Electrode Holders are used for Warner patch clamp amplifiers. Two glass taps for use with the Single Chamber Organ Bath from Panlab. A convenient positioning device on any steel surface, and is used with the Clamp Mount Micromanipulators. 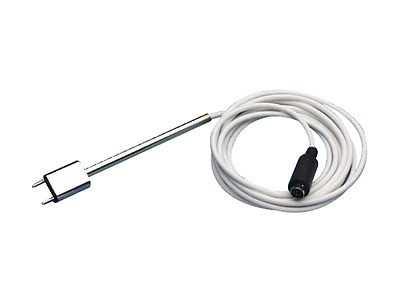 This electrode set consists of two Ag/AgCl pellets and two Ag wires for use with Ussing Chambers. The Ussing Electrode Bridge Fitting Kit (12 Fittings & 6 Adapters) for use with Ussing Chambers.